The weather is nice…for a while, anyway. So grab your favorite kid and try one of these fun outdoor activities. Watching everyone on the East Coast dig out after Jonas really makes you thankful for our Texas winters. I guess a better way to put it would be, our Texas non-winters. They’re expecting another round of winter blast, but word on the street is, it’s going to be a beautiful weekend in these parts. And when I say beautiful, I mean one of those sunny, mild, mid-winter days that has all of our friends to the north green with envy. 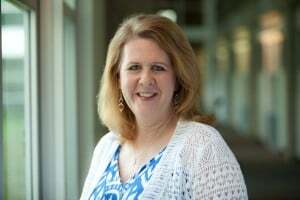 Of course the tables will be turned come August, but for now, put away the parka, slip on a windbreaker and head out to one of these family-friendly events. 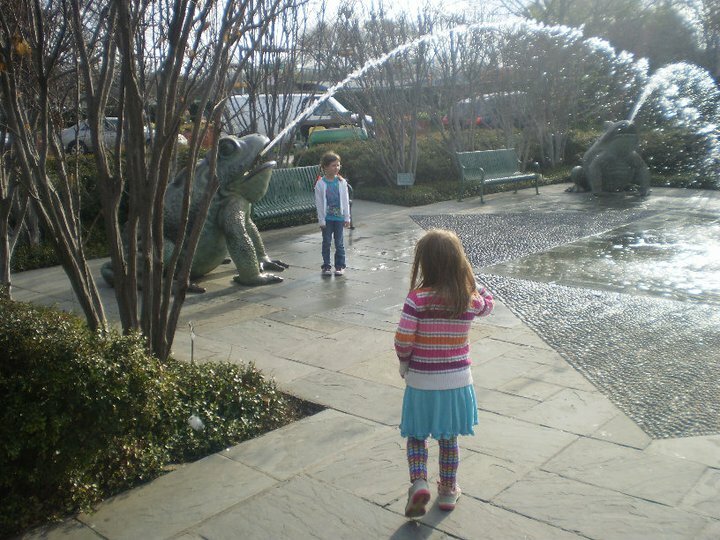 Let the kids run off the cabin fever at the Dallas Arboretum and do it at a bargain price. From now until Feb. 26, admission to the garden is just a measly $5. The Children’s Garden is temporarily closed for winterization, but there’s still tons of fun to be had. Kids can peer into the reflecting pools (careful, don’t fall in), play hide and seek among the ferns, dodge the water jets at Toad Corner fountains, roll down the big hill near the concert stage, or just run around like banshees amongst the miles of green space. Ordinarily winter isn’t the best time to visit the zoo. Most animals don’t like being cold any better than people do. They have a tendency to curl up in their enclosures and are out of view. If you’re a zoo visitor, this makes for very poor animal encounters. If we lived in Nebraska this would be true, but remember, we live in the land of the non-winter. Our current weather has everyone itching to be outside including our furry friends at the Dallas Zoo. Besides great weather, and smaller crowds, you can also enjoy $5 admission now through Feb. 29 during Penguin Days. While you’re there be sure to check out the elaborate LEGO brick art exhibit, Nature Connects. 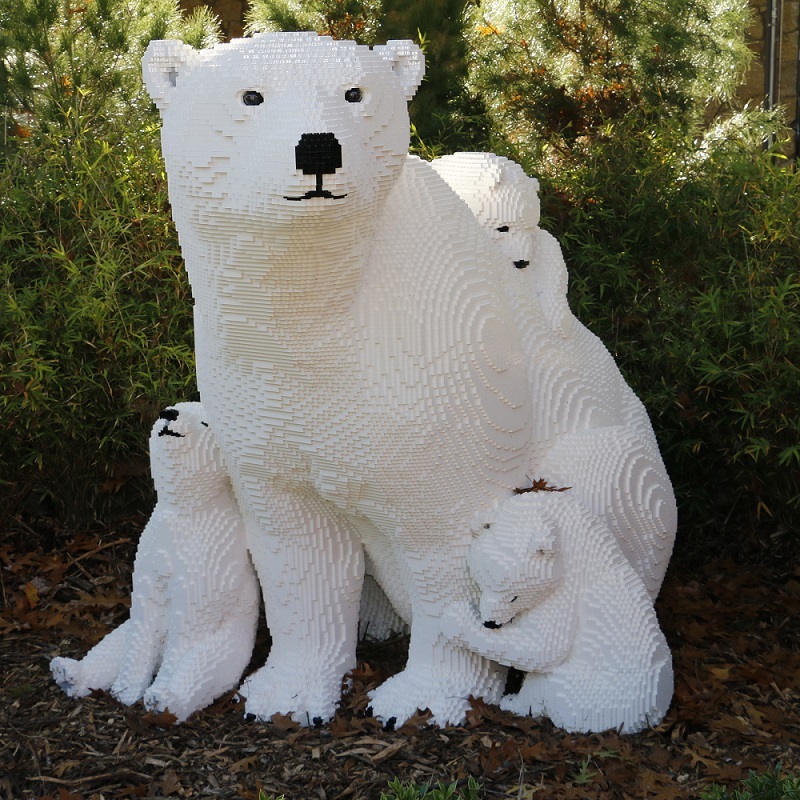 The show is a series of live-sized animal sculptures made entirely out of LEGOs. Speaking of cold weather and animals, get in touch with your inner polar bear this Saturday at the Polar Plunge at NRH2O. But hold on, before you discount this as completely nuts consider these two things: first, the high will be near 70 on Saturday, so it won’t be THAT cold. And two, you’ll be helping Special Olympics Texas raise money for athletes in the Greater Fort Worth area. If you’re feeling brrrrave just raise a minimum of $60 in donations, or $30 if under 18, and you’ll get to take the brisk ride down the water slide and into the pool. Sure, it’ll be cold, but you’ll feel warm inside. 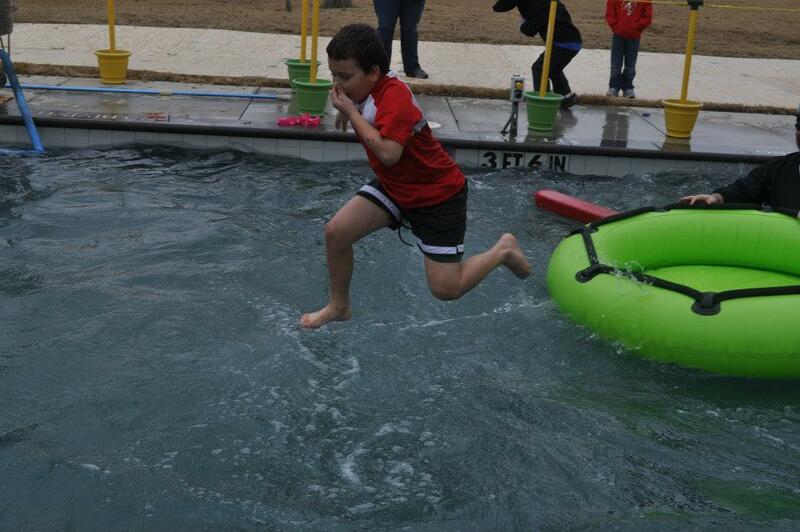 Take the plunge for Special Olympics of the Greater Fort Worth Area. Photo: NRH20 Family Water Park. If you’re looking for even more water fun, but would prefer to stay dry, check out Sleeping With the Fishes Overnight this Saturday night. No, this isn’t a date with Tony Soprano, you and the kiddos actually get to spend the night among the 5 aquatic zones and thousands of fish at at the Children’s Aquarium at Fair Park. Besides the fishy slumber party you’ll also get to take an evening guided tour, participate in activities and crafts, and enjoy a delicious nighttime snack. When you wake up in the morning enjoy a continental breakfast and keeper talk. Like all sleepovers, this is very popular so be sure to book early. Enjoy a nature walk and a little dinosaur watching. Photo: Heard Natural Science Museum & Wildlife Sanctuary. The weather is going to great this weekend so how about a nature walk and a little dinosaur watching? 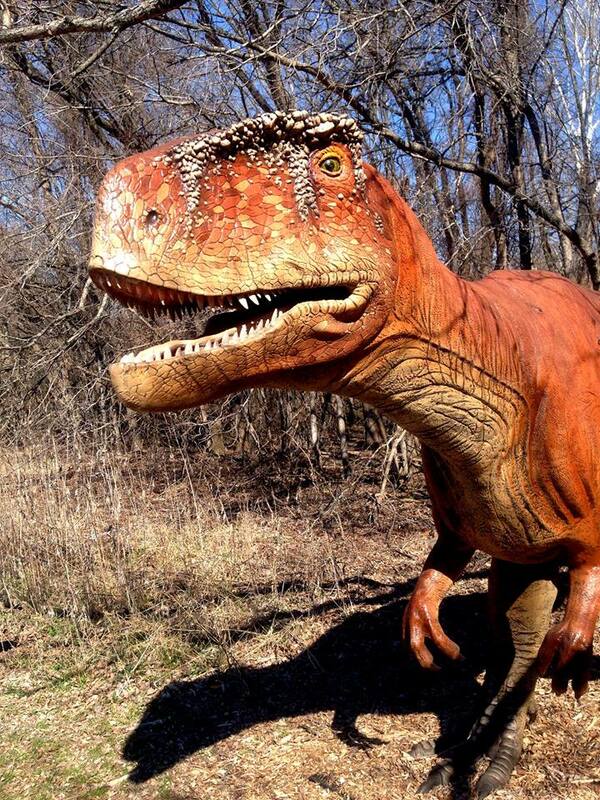 That’s right, along the half-mile nature trail at the Heard Natural Science Museum and Wildlife Sanctuary in McKinney are ten life-size animatronic dinosaurs. The giant reptiles communing with nature are part of the Dinosaurs Live! exhibit and they move, growl, and of course, roar. This is one time the kids won’t need to be encouraged to get some exercise. The big guys are on display through Feb. 21 and the nice people want you to know that they won’t animate or move if the temperature drops below 45 degrees. Lucky us! We live in Texas so it isn’t a problem this weekend!